SNOM PA1 is a really easy to configure device that works out of the box with Lync as a PA system. A Lync account that will be used by the snom device…aaahh thats it! 6. 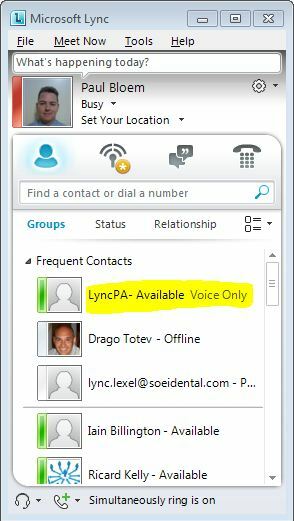 From your own Lync Communicator you can now look up the Lync PA user and simply call it from Lync to make a PA Announcement. Once configured the device will request a login username and password next time you go to the URL, I had to factory reset the device each time I needed to change the Lync Account details. Bit of a bugger but since you only configure it once I suppose its ok.
Press and hold the IP Reset button until both LED’s go off. Adjusting the Speaker Volume (1-14) default is 10.